Pare and trim parsnips. 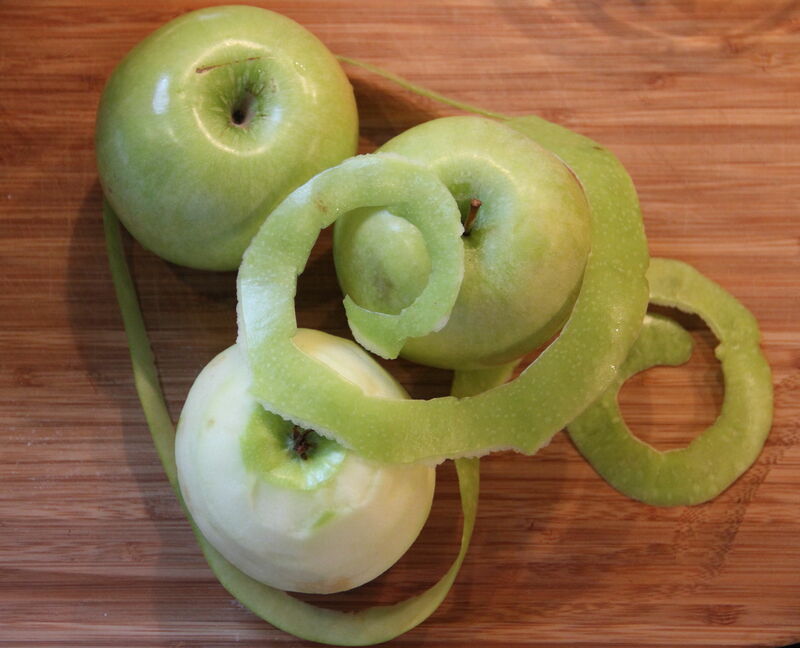 Chop coarsely and set aside. 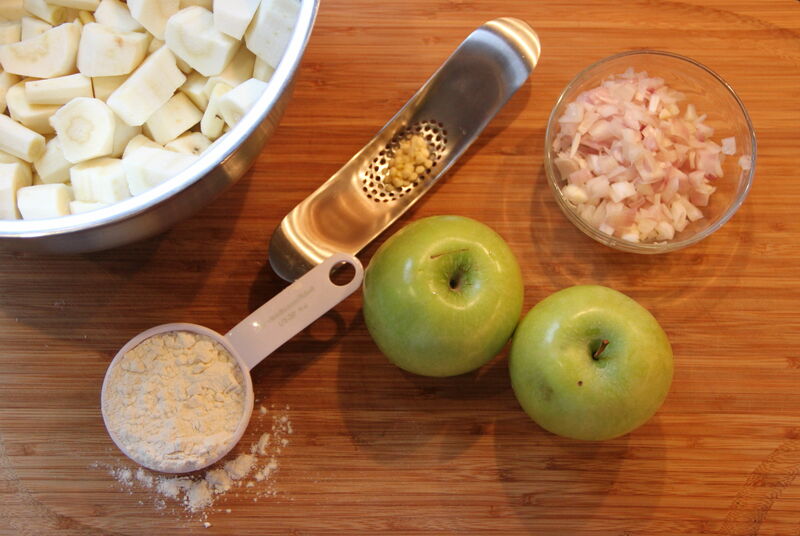 Pare, core and coarsely chop apples. Add to parsnips. Melt butter in a heavy saucepan over medium heat. Add shallot and sauté until soft but not browned, about 2 to 3 minutes, stirring occasionally. Add minced garlic and stir for another minute. Stir in flour until thick paste forms. Gradually add broth, stirring into flour mixture until smooth. 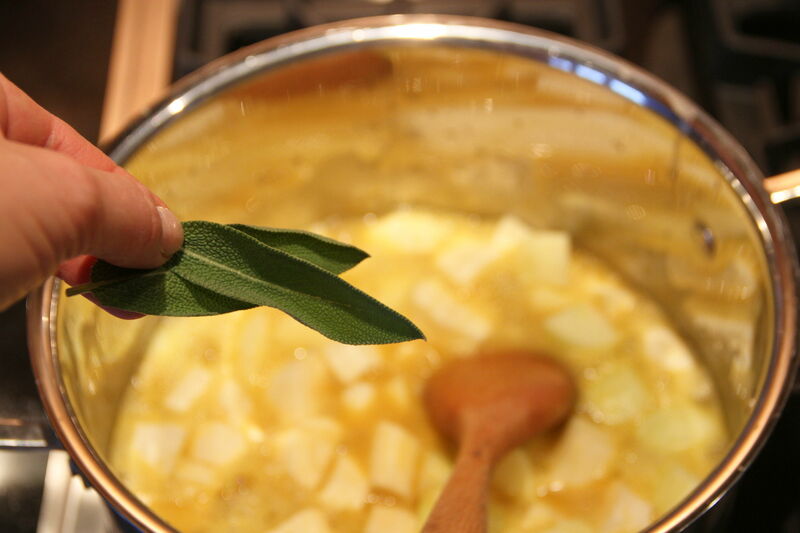 Add whiskey, parsnips, apples, salt, pepper, and fresh sage leaves. Bring to a boil. Reduce heat, cover, and simmer for about 25 to 30 minutes. 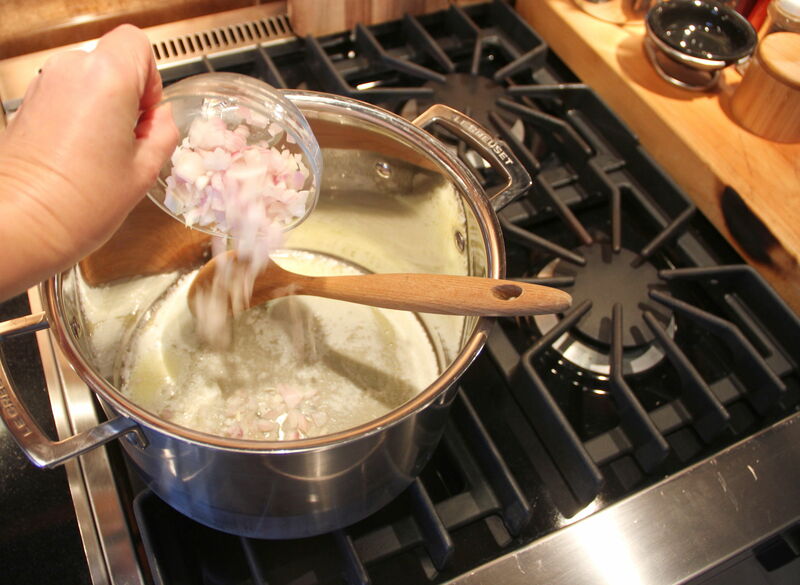 Stir in heavy cream. 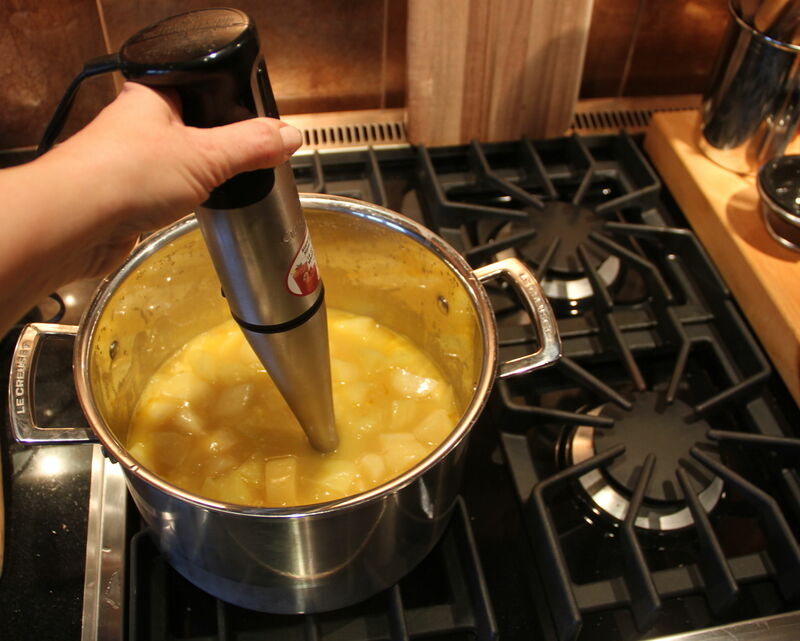 Lightly purée using an immersion blender, traditional blender or food processor. Reheat if necessary. 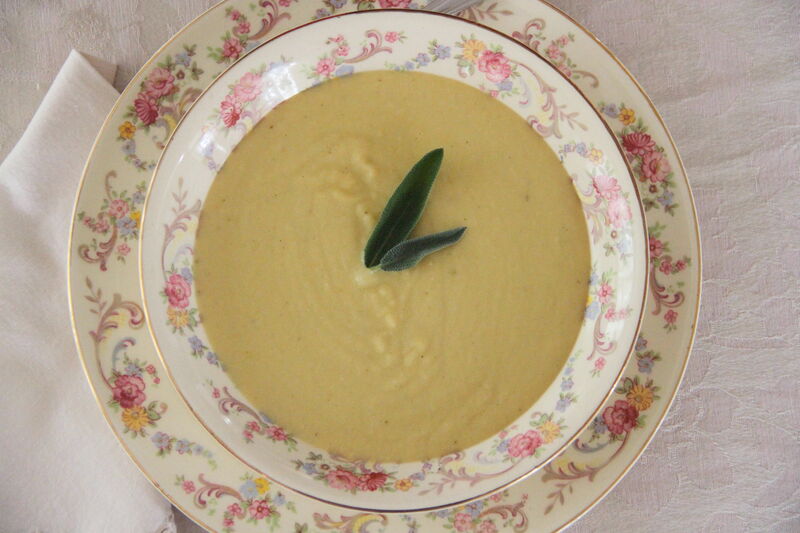 Serve warm, garnished with additional fresh sage, if you like. Makes approximately 6 1-cup servings. That looks fantastic! And is that your garlic press? I’ve never seen anything like that! Thanks! Yes, that’s a garlic roller made by joseph joseph. A thoughtful and practical gift from my sister-in-law Suzanne. She knows me too well! That is awesome! It looks super easy to clean too. Googling now . . . Yes, it is. I think you can get them at the MoMA store. You will love it! Ha, ha! We gotta go to Cooking Gadgets Anonymous. Thanks, Richard. You are very lucky to have the assistance of Baby Lady! You are 100% correct and there isn’t a day that goes by that I don’t realize I am the luckiest man in the world. Not a combination I would have thought of, but must try. 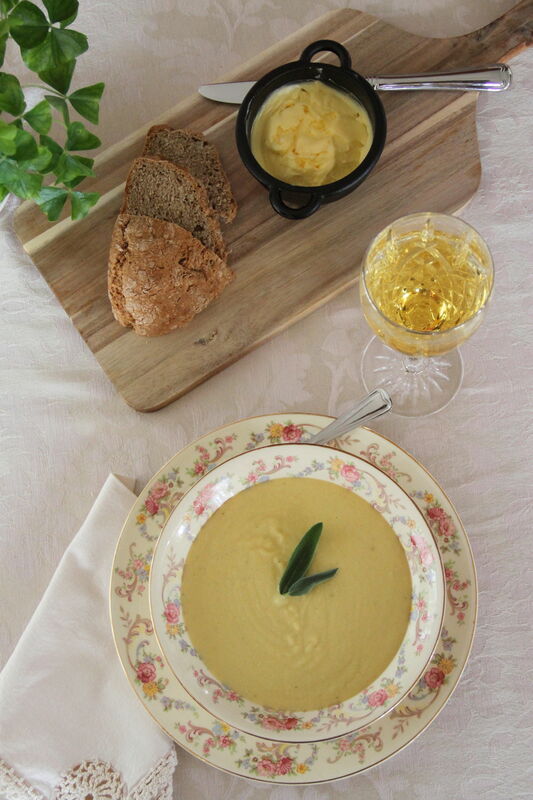 Seems like it might be quite a light soup, good for a meal with several courses. Thanks, Sue. It’s a nice autumn dish. Another way I like to eat parsnips is cooked and mashed, mixed about 50/50 with mashed potatoes.